A conversation with iconic author Jorge Cervantes (aka George Van Patten), who recently released The Cannabis Encyclopedia. Jorge Cervantes (aka George Van Patten). Check out the Legalization Nation blog on the Express' website for book pictures, and a June cultivation tip from Cervantes. The world's cannabis cultivators, their friends, and loved ones have a new, essential reference: The Cannabis Encyclopedia, released April 20 online and in stores worldwide. This large-format, 596-page, full-color gardening book has 2,000 images and retails for $50. It's written by iconic author and Sonoma resident Jorge Cervantes (aka George Van Patten) — a former cultivation editor for High Times magazine. Van Patten was born in Ontario, Oregon in 1953, and as a child, he loved growing corn and radishes. He was a paperboy, a school newspaper reporter, and a printing press operator in a small town who got turned on to pot by the film Easy Rider and by Mexican ditch weed. 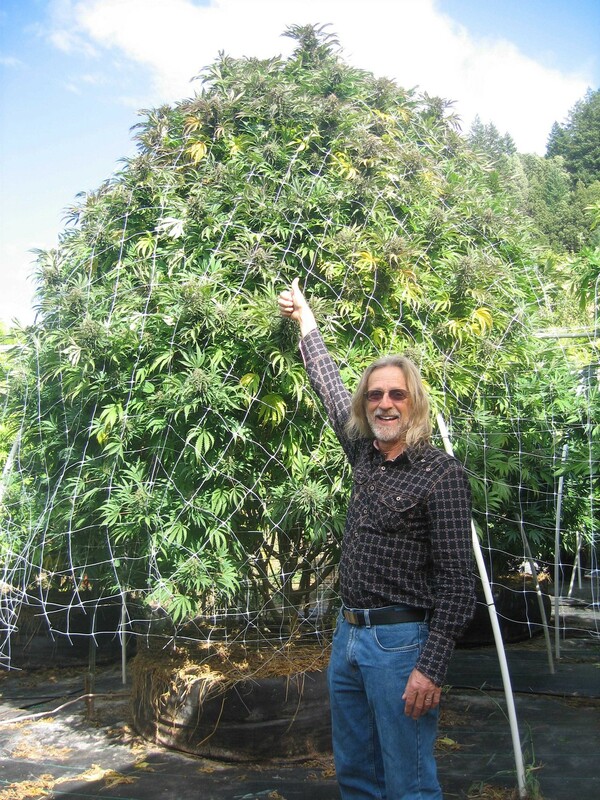 After high school, Van Patten became radicalized in 1976 while attending college in Mexico, where he first grew cannabis. After realizing that authoring pot books was his true calling, he got a degree in general studies from the University of Portland, and under the pen name Jorge Cervantes, started publishing pot botany guides at a time when doing so was analogous to writing The Anarchist's Cookbook. I chatted with Van Patten about the release of his masterwork, and the shape of California legalization in 2016. Many of your friends have gone to jail. Printers used to refuse to print these books and bookstores wouldn't carry them. Looking back on that journey, how does it feel to hold The Cannabis Encyclopedia in 2015? My, it's been a long road, you know? Things have really changed over the years. I was treated as a criminal for years and years, and I never saw myself as one. In this country, it used to be so different, but it's changing very rapidly. Looking forward, what cultivation trends will affect producers and consumers as legalization progresses? Number one: People are going to start growing outdoors or in greenhouses a lot more. There's just more and more people growing outdoors, and it's easy to grow outdoors in the backyard for most people, and you could easily grow five pounds or ten pounds in a backyard, no problem. What is the bottom in terms of cannabis' price? I'd say $500 to $600 a pound for premium outdoor. That's one-tenth of the top prices for Humboldt indoor ten years ago. But, see, right now, good outdoor is $800 to $1,000 per pound, maybe even $1,200 — so it's not a very far drop. It's a 50-percent drop, but it's already dropped 50 percent recently in the last couple of years. Are we at the peak in terms of THC? I'm not sure. My understanding is it can get to be 24 [percent THC], possibly 25 — but anything over 21 is quite strong. What needs to happen to mitigate the environmental impacts of cannabis farming? We do need to do something about water use in rural areas where they're stripping away hillsides. It needs to be managed better. 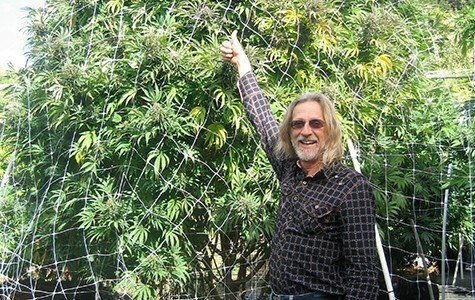 Are cannabis farmers being singled out? Oh yeah. I think it could be more efficient, but a lot of those guys are already real efficient. Is there a future for pot farming in rugged, remote, parched Northern California hillsides or is that an artifact of prohibition? Cannabis should be grown on a flat piece of land using hydraulic implements. It can be way more efficient. One guy with a tractor can do a heck of lot of work. Should cities and counties retain the right to ban all cultivation? It's kind of their turf and they can already ban a lot of other stuff — to take that right away from them would be dipping into their sovereignty. For example, in Sonoma, there's one headshop. That's just the way it is. Should folks be concerned about pesticides currently in pot? There's a lot of people [who] are using harmful pesticides. It's that simple. ... Everybody's using these things. ... Spraying is the path of least resistance, and that's quite a problem. They've got [Organic Materials Review Institute] inspectors for organic certification. I would love to see those guys go certify farms. They're experts at it and they already got the agencies.